Joining the world-wide 500th anniversary commemorations of the creation in Venice of the world's first ghetto, Salon/Sanctuary Concerts' eighth season explores the musical worlds shaped by ancestors and descendents of exiles. From Esther to Shylock, from Troubadors to Dowland, we glimpse at fault lines of acceptance refracted through the prism of music. A journey through time and a trip through venues, the season traverses a millennium of music and cultural history--from Ghetto to Cappella, from Opera House to Souk, from Salon to Sanctuary. "On the Margins of the Opéra Comique: Jewish Composers, Covert Spaces, and the Legacy of the Wagnerian Suppression"
Works of Holborne, Byrd, and the great John Dowland, a Catholic exile from the Protestant court of Elizabeth I, form this program performed by "Living Legend" Hopkinson Smith, as a benefit event for Salon/Sanctuary Concerts. "The Floor of Heaven: Scenes from a Merchant and Songs of his Venice"
"Of Meistersingers and Mizmorim: The Wandering Troubador, the Origins of Klezmer, and the Medieval Roots of Wagnerian Fantasy"
And continued concerts through May 2017. Innovation, one of three season-long thematic strands of Cal Performances' Berkeley RADICAL initiative, launches with the Bay Area premiere of pioneering choreographer Deborah Hay's latest work, and culminates with a rare collaboration by two visionary next-generation dance-theater artists and their companies. Part retrospective, part celebration of trailblazing artistic discovery, the Innovation strand of the Cal Performances 2016/17 season tracks and joins a group of established innovators, some at key milestone birthdays, by exploring their ideas and gaining insights into novel directions in contemporary performance. Innovation places a focus on a selection of contemporary artists who have created major new ideas for the interdisciplinary performance stage. Encompassing new commissions and a major restaging, Innovation will launch with Hay's large-scale, meditative Figure a Sea, performed by the ground-breaking Swedish company Cullberg Ballet. Two contemporary legends, Robert Wilson and Mikhail Baryshnikov, unite in a new creation, co-commissioned by Cal Performances—Letter to a Man, based on the diaries of Vaslav Nijinsky—in its West Coast premiere November 10–13, 2016. Steve Reich, at 80, presents fresh ideas with Ensemble Signal's American premiere performance of Runner, January 29, 2017, co-commissioned by Cal Performances. To celebrate John Adams' 70th birthday, the composer's 1980s collaboration with architect Frank O. Gehry and choreographer Lucinda Childs, Available Light, is revived in a Cal Performances co-commissioned restaging, February 3–4, 2017. In a forward-looking fusion of dance and theater, choreographer Crystal Pite and her company Kidd Pivot join with theater artist Jonathon Young and his Electric Company Theatre for Betroffenheit, March 10-11, 2017. Berkeley RADICAL: This performance is part of Cal Performances' Berkeley RADICAL Innovation thematic strand, which follows a group of artistic trailblazers, some celebrating key milestones, who continually ask us to perceive, think, and understand in new ways. More information at calperformances.org/berkeley-radical-innovation. Tickets: Prices range from $30–$86 (subject to change). Silver-prize and audience-prize winner at the 2011 Arthur Rubinstein International Piano Master Competition, critically acclaimed pianist Boris Giltburg gives his New York solo recital debut at Carnegie Hall's Zankel Hall on October 27 with an all-Russian program, presented by the American Friends of the Arthur Rubinstein International Music Society. The program includes works by Rachmaninov, Prokofiev and Scriabin, as well as Giltburg's own piano arrangement of Shostakovich's String Quartet No. 8 in C minor. Boris Giltburg's recently released Rachmaninov CD on Naxos was selected as BBC Music Magazine's Instrumental Choice for August, as well as Gramophone's Recording of the Month in June. Gramophone wrote: "This vision will place him among the truly memorable Rachmaninov interpreters, an elect including Moiseiwitsch, Horowitz, Kappel, Richter and Cliburn. His originality stems from a convergence of heart and mind, served by immaculate technique and motivated by a deep and abiding love for one of the 20th century's greatest composer-pianists." Tickets on sale at carnegiehall.org, CarnegieCharge at 212-247-7800, and at the Carnegie Hall Box Office at 57th Street and Seventh Avenue, NYC. The World's First Virtual Reality Episodic Horror Opera, "The Parksville Murders"
Opera on Tap is proud to announce its most innovative project yet: an episodic horror opera created for Virtual Reality, entitled The Parksville Murders. The piece, featuring music by Kamala Sankaram and libretto by Jerre Dye, directed by Cari Ann Shim Sham, is being produced by Shim Sham, Opera On Tap's Anne Hiatt, and former Blue Man Group creative director Todd Perlmutter, in collaboration with leading virtual reality production company Light Sail VR. Inspired by the genre-bending horror classics from Cronenberg, Lynch and others, The Parksville Murders places viewers in a dimly-lit kill room in the Catskills, NY, standing amidst a group of mysterious, hooded "watchers" as they gaze upon two terrified young women, one paralyzed, lying in a bathtub full of dead leaves. The episode will be released in late January 2017, though there will be a special preview exhibit for RSVP guests on October 27, 7-10PM at the DUMBO Archway, in collaboration with the DUMBO Business Improvement District. The evening will feature an exclusive preview exhibit with VR viewing of the full episode, as well as live music from bands, including composer Kamala Sankaram's ensemble Bombay Rickey, and refreshments. The American Contemporary Music Ensemble (ACME) embarks on a busy month of concerts on October 6 at Le Poisson Rouge in New York with Nordic Noir, a concert featuring music by Danish composers Frans Bak, Ejnar Kanding and MBD73. ACME will tour with Blonde Redhead from October 9-14, performing the band's album Misery is a Butterfly in its entirety, before joining Icelandic composer Jóhann Jóhannsson for a tour supporting his recent Deutsche Grammophon album Orphée from October 16-23. Upon returning to New York, ACME performs with German thereminist and composer Carolina Eyck in the world premiere of her Fantasias for theremin and string quartet. ACME and Eyck's recording of the Fantasias will be released by Butterscotch Records on October 14. What do you get when America's leading period-instrument orchestra performs Beethoven? We say, "brilliance!" Join Nic McGegan and the Orchestra at our All Beethoven concerts taking place October 15-22 throughout the Bay Area. Hear Harvard professor Robert Levin interpret the Concerto for Fortepiano No. 3 then experience our take on Beethoven's Symphony No. 6 "Pastoral." Come experience these masterworks the way Beethoven intended them to be heard - with all the richness and color that period instruments reveal when passionately played by gifted musicians who love what they do. If you're coming, be sure to arrive 45 minutes early to hear the pre-concert talk. Washington Post Classical Music Critic Anne Midgette will give the talk at our San Francisco concert on October 21. The National Philharmonic Chorale and Orchestra bring alive majestic cathedral music in Strathmore's concert hall, on Saturday, November 5 at 8 pm. Coronation music found in the great British choral tradition, including Handel's famous "Zadok the Priest," will be featured in this concert for choir, brass and organ and led by National Philharmonic Chorale Music Director Stan Engebretson. The evening will include the world premiere "Of Radiance and Light," a commissioned work composed by the young, dynamic Maryland composer Alistair Coleman. Coleman's "Of Radiance and Light," commissioned by the National Philharmonic, charts a journey from darkness to enlightenment, which is embodied structurally and symbolically through several devices in both the text and the music. The text, compiled by the composer himself, consists of verses from several psalms that are woven together to create a linear narrative representing this journey toward wisdom. Musically, the texture undergoes a transformation from dense and somber sonorities toward greater clarity and exhilaration of feeling, punctuated by introspective and meditative passages. An interesting textual device is the recurrence of the line "Arise, shine; for thy light is come" (Isaiah, 60), coupled with a variety of harmonic tones to represent the many sentiments that this sentence can evoke. A free pre-concert lecture will be offered at 6:45 pm on Saturday, November 5 in the concert hall at the Music Center at Strathmore. To purchase tickets to National Philharmonic's Music From the Cathedral concert, please visit nationalphilharmonic.org or call the Strathmore Ticket Office at (301) 581-5100. Tickets start from $19. Kids 7-17 are FREE through the ALL KIDS, ALL FREE, ALL THE TIME program . ALL KIDS tickets must be purchased in person or by phone. Rochelle and David A. Hirsch, Linda and Michael G. Jesselson, and Ruth and Theodore N. Mirvis, along with host Paula Zahn, are proud to announce this year's Israel Philharmonic Orchestra (IPO) New York Gala will be held on Tuesday, November 15 at the The Plaza Hotel--in celebration of the 80th Anniversary of the Israel Philharmonic Orchestra. The benefit committee is comprised of prominent New York business and philanthropic leaders including Rita and Charles Bronfman, Sara and Charles Fabrikant, Arlene and Morris Goldfarb, Jo Carole and Ronald Lauder, Ingeborg and Ira Leon Rennert, Lauren and John Veronis, and Elaine and James Wolfensohn (amongst others). This celebratory occasion will include a cocktail party and chamber music concert with members of the Israel Philharmonic Orchestra (IPO) and guest violinist Julian Rachlin, followed by dinner. Rachlin, a dynamic violinist and praised conductor, has performed and toured extensively with the IPO. The evening's program of Tchaikovsky's Souvenir de Florence, performed by a dazzling string sextet, will provide attendees with a unique opportunity to hear Tchaikovsky's most ambitious chamber work in an intimate setting. Symphony No. 31, K. 297, "Paris"
Serenade No. 9, K. 320, "Posthorn"
Rediscovered orchestral works. 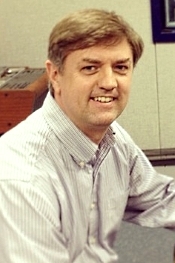 Martin West, San Francisco Ballet Orchestra. Reference Recordings RR-138. One of the advantages of having listened to and collected classical recordings for well over sixty years is getting to know more about the people who wrote the music. But I have to admit that in all that time I barely remembered the name Moszkowski. Yes, after much thought I recalled one piece, "Spanish Dances," in my collection on a Decca album with Ataulfo Argenta and the LSO. But remembering it required a stretch. 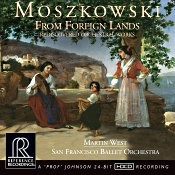 So it's good to know that Martin West and the San Francisco Ballet Orchestra have done up some of Moszkowski's work in a disc called "From Foreign Lands, Rediscovered Orchestral Works." And it's especially gratifying to hear the material so well produced by Reference Recordings. For the uninformed (and that would be me), a word from Wikipedia: "Moritz Moszkowski (1854-1925) was a German-Jewish composer, pianist, and teacher of Polish descent on his paternal side. The prominent Polish pianist Ignacy Paderewski said of him, 'After Chopin, Moszkowski best understands how to write for the piano, and his writing embraces the whole gamut of piano technique.' Although less known today, Moszkowski was well respected and popular during the late nineteenth century. He was quite prolific, composing over two hundred small-scale piano pieces, which brought him much popularity--notably his set of 'Spanish Dances' for piano duet" (on the present disc arranged for orchestra by Phillip Scharwenka and Valentin Frank). Most of this material is lightweight, to be sure, yet it's also most delightful in the capable hands of West and his players. The opening "Torch Dance" has a rousing spirit. The six movements of "From Foreign Lands" are colorful and characterful, each exemplifying a different country. They reminded me of things by maybe Glazunov, Gounod, or Rimsky-Korsakov. In their time (the late nineteenth century), the "Foreign Lands" suite was apparently quite famous, although today audiences might find the music hopelessly Romantic. Personally, I love Romantic music, hopeless as it (and I) may be. This is a charming and easily pleasing set of tunes. The "Habanera" was among my favorites on the program. Yes, it may remind some listeners of Bizet's more-famous take on the subject, yet it has a distinct appeal of its own. It's light and airy and memorable. I found "By the Cradle" the most overtly "balletic" of the selections on the agenda, although I didn't find it as noteworthy as the "Habanera." Nor did I think the six episodes of "Don Juan and Faust" as easily pleasurable, while they still held their own personality, particularly the cheerful closing number. "Gondoliera," on the other hand, well captured the ebb and flow of Venice canals, and West and company provide it with a sweet and engaging performance. Then we come to the only Moszkowski work I sort of recognized, the five aforementioned "Spanish Dances." They, too, are lightweight but totally enchanting and deserve their widespread popularity. West handles each movement carefully, giving all of them a manifestly fresh yet still clearly Spanish flavor of their own. Producers Marina A. Ledin and Victor Ledin of Encore Consultants and co-founding Reference Recordings engineer "Professor" Keith O. Johnson made the album in 24-bit HDCD at Skywalker Sound, Marin County, CA in March 2014. The two most noticeable characteristics about the sound are its dimensionality and its dynamics. The miking appears to be more moderately distanced than most modern close-up affairs. As a result, we get a realistic sense of the studio ambience, the resonant bloom around the instruments, and the impression of orchestral depth as well as width. Then there's the matter of dynamic range, which is very wide, and dynamic impact, which can be quite striking. Of course, there may be drawbacks to these qualities for some listeners, in particular those listeners not used to a natural sound; I'm afraid some people might find the sonics too soft, too repressed, or too reverberant for their taste. So be it. In any case, I personally found the sound lifelike, even if it hasn't all of the clarity, the transparency, so prized by some audiophiles. 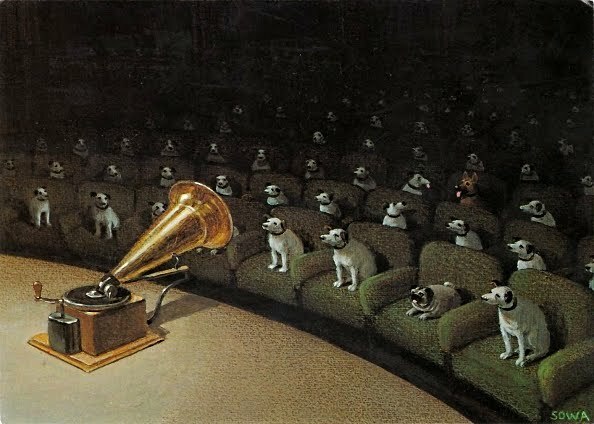 The frequency range is extended in both directions, the balance is as perfect as one could imagine, and the overall aural picture is one of a live orchestra in one's living room. 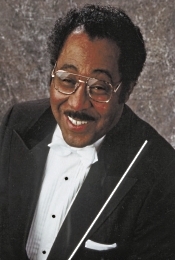 Paul Freeman, Chicago Sinfonietta. Cedille Records CDR 90000 066. There are four good reasons listeners may be interested in this disc from 2003. 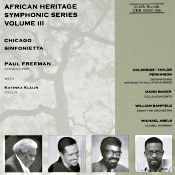 First, it continues the Cedille Records series of classical music by contemporary African American composers. Second, it's very naturally and realistically recorded. Third, it contains some darned good music. And fourth, it's always a pleasure hearing the work of the late Paul Freeman (1936-2015) and the ensemble he founded and conducted for so long, the Chicago Sinfonietta. 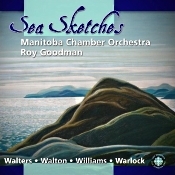 The album comprises about an hour's worth of material by four different composers. The opening piece is called Global Warming (1990) by Michael Abels. It's an exceptionally rhythmic and harmonic work, synthesizing Irish and Middle Eastern musical styles into a surprisingly coherent and entirely satisfying and entertaining whole. 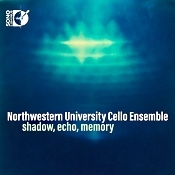 The second, and longest, piece is Cello Concerto (1975) by David Baker. It is typically mid-twentieth century in its greater emphasis on atmosphere than on melody, although there are some good jazz-inspired tunes to be found if you listen carefully, especially in the third movement. The cellist is Katinka Kleijn, and the mood is mostly melancholic; but, interestingly, the Sinfonietta's accompaniment contains no cellos. The third work represented bears the title Essay for Orchestra (1994), written by William Banfield. Containing an abundance of percussion, the piece was originally a part of a longer production, but the composer thought, rightly so, that it could stand alone. It's kind of a fun exercise in "Name that instrument." During its ten minutes duration, practically every instrument in the band gets its moment in the sun. Then, the disc concludes with Generations: Sinfonietta No. 2 for Strings (1996) by Coleridge-Taylor Perkinson. The composer based each of its four movements loosely on descriptions of his own family: daughter, mothers, grandson, and fathers. Each movement uses one or more folk tunes combined with original melodies. The work is fascinating if slightly fragmented and sometimes repetitious. The playing throughout is scrupulously meticulous, and Maestro Freeman is affectionate in his handling of the tunes. The whole affair is a testament to his the conductor's elegant sensibilities and innate sense of fun. Cedille's sound, as always, goes for a natural hall ambience while occasionally overlooking ultimate transparency. Instruments sound best when they're isolated, and massed orchestral tones tend to get just the tiniest bit muddled. Nevertheless, the sound is easy on the ears, more pleasant sounding than most new recordings, and will have listeners recalling their last live concert. Which I count a very good thing. Cal Performances continues the second season of its Berkeley RADICAL initiative with the launch of the season-long Immersion thematic strand, which embraces the idea of deep exploration. 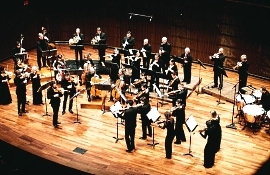 Over the course of the 2016/17 season, Immersion performances and public programs offer audiences a variety of opportunities for intense engagement with one of the most innovative composers of the 20th century, Igor Stravinsky; the complete string quartet cycle by the most well-known name in classical music, Beethoven; and perhaps the most enduring, elastic, and unpredictable musical instrument, the human voice. The 2016/17 Immersion events begin October 7-9, 2016, as Cal Performances welcomes back the Philharmonia Orchestra, London and its principal conductor and artistic advisor, Esa-Pekka Salonen, for a three-concert residency featuring performances of five symphonic works by Stravinsky over two programs. This focused exploration includes the composer's iconic The Rite of Spring, Symphonies of Wind Instruments, and Agon on October 8; and on October 9, a re-creation of one of the opening concerts at Zellerbach Hall, when Stravinsky was in attendance, in May of 1968--Symphony of Psalms and Oedipus Rex. 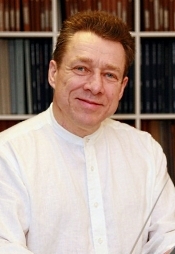 Salonen and the orchestra also perform Beethoven's Symphony No. 3, Eroica, and Sibelius's Symphony No. 5 on October 7. 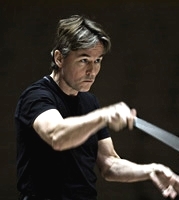 Tickets for Esa-Pekka Salonen and the Philharmonia Orchestra, London, on Friday and Saturday, October 7 and 8 at 8pm, and Sunday, October 9 at 3pm in Zellerbach Hall, Berkeley, CA, range from $35-$150 and are subject to change. Half-price tickets are available for UC Berkeley students. Tickets are available through the Ticket Office at Zellerbach Hall, at (510) 642-9988, at calperformances.org, and at the door. For more information about discounts, visit calperformances.org/discounts. America's largest and foremost period-instrument orchestra - Philharmonia Baroque Orchestra & Chorale - will return for its 2016/17 season this October 15-22 with an "All Beethoven" program featuring Harvard professor of musicology and fortepianist Robert Levin. In his 5th appearance with PBO since 1998, Levin will perform Beethoven's Concerto for Fortepiano No. 3 with the Orchestra for the first half of the program. This is the only one of Beethoven's concertos Philharmonia has not previously performed. Renowned for his improvised embellishments and cadenzas, Robert Levin has performed on period pianos in the past with the Academy of Ancient Music, English Baroque Soloists, Handel & Haydn Society, Orchestra of the Age of Enlightenment, with Sir John Eliot Gardiner, Christopher Hogwood, Sir Charles Mackerras, and others. For the second half of the program Nicholas McGegan and the Orchestra will offer their distinct take on Beethoven's Symphony No. 6 "Pastoral." McGegan has chosen to include an extra measure that Beethoven had originally composed for the second movement but later removed. The musical "aviary" that Beethoven included in this work will sound particularly unique when performed by PBO. Period wind instruments provide different colors than their modern counterparts. Their use in this concert will undoubtedly add a richer sound as well as a more historically accurate interpretation of this masterwork. This season opener can be seen October 15-22 throughout the bay area. See "All Beethoven" on Saturday, October 15 at 7:30 pm at the Green Music Center in Rohnert Park; on Sunday October 16 at 4 pm at First Congregational Church in Berkeley; on Wednesday October 19 at 7:30 pm at Bing Concert Hall in Palo Alto; on Friday October 21 at 8 pm at Herbst Theatre in San Francisco; and on Saturday October 22 at 8 pm at First Congregational Church in Berkeley. Tickets range from $27 to $108. For more information about this and other Philharmonia Baroque Orchestra & Chorale concerts, visit philharmonia.org. For tickets, visit cityboxoffice.com or call 415-392-4400. For Green Center tickets, please visit gmc.sonoma.edu. Embark on U.S. tour: October 10 - 28, 2016. In international demand for their exceptionally integrated sound and rare musical versatility, the Danish String Quartet return to the United States in October 2016 for a twelve-concert tour. Since making their debut in 2002 at the Copenhagen Festival, the group of musical friends have demonstrated a passion for Scandinavian composers, whom they frequently incorporate into adventurous contemporary programs, while proving themselves to be skilled and profound performers of the classical masters. Recognized internationally as one of the star conductors of the new generation, Fabien Gabel kicked off an exciting 2016/17 season and fifth year as Music Director of the Quebec Symphony Orchestra last night with a performance including Berlin Philharmonic concertmaster Daishin Kashimoto. Gabel's season also includes an extended American presence this spring, as he conducts the Houston Symphony Orchestra, San Diego Symphony, and Rochester Philharmonic Orchestra. His 2017/18 season will also include a focus on major orchestras in the US including performances with the Detroit Symphony Orchestra, National Symphony Orchestra of DC and more. The conductor will also lead a number of high-profile European dates, including the Orchestra National de France and acclaimed mezzo-soprano Anne-Sofie von Otter, the Gulbenkian Orchestra with violinist Alina Ibragimova, the Deutsches Sinfonie Orchester at the Berlin Philharmonie, the City of Birmingham Symphony Orchestra and the London Symphony Orchestra, plus four operatic performances of Abroise Thomas's Hamlet with the Lausanne Opera. Gabel will also head to Asia for a performance with the Seoul Philharmonic. In conjunction with his season announcement, Gabel is excited to his new Web site, viewable at http://www.fabiengabel.com/. American composer Michael Gordon has been named the first-ever Composer-in-Residence of the Young People's Chorus of New York City (YPC). The three-year residency, beginning this month, will comprise a new work composed by Mr. Gordon each year to be workshopped by the choristers and Artistic Director Francisco J. Núñez and premiered by YPC at the end of each season. 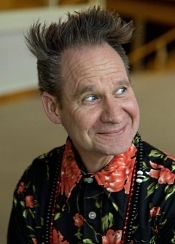 Mr. Gordon's residency will also include another new work composed for YPC's younger children, YPC's Satellite Schools children, and its community choruses; as well as masterclasses for YPC singers; and his participation as an artistic advisor. The residency commences this season with the world premieres of two works commissioned from Mr. Gordon. YPC will sing the premiere of Great Trees of New York City in two Transient Glory concerts at National Sawdust on November 4 and again at Merkin Concert Hall on November 6. Mr. Gordon's second commission will be workshopped with YPC and Mr. Núñez during this season and premiered in June 2017 in New York City and at the Tampere Vocal Festival in Finland, where YPC was one of only three choirs selected from choruses worldwide to commission and premiere a new work for the festival's Songbridge Gala Concert. The 2016-17 season marks the Emerson String Quartet's 40th Anniversary--a major milestone for this ground-breaking ensemble, named "America's greatest quartet" by Time magazine, which has earned its place in the pantheon of the classical music world. The Emerson Quartet continues to perform with the same benchmark integrity, energy and commitment that it has demonstrated since it was formed in 1976, and its 40th Anniversary season reflects all aspects of the Quartet's venerable artistry with high-profile projects and collaborations, commissions and recordings. In the words of Gramophone magazine, "They have achieved – and maintain -- their exalted place in the hierarchy of American quartets for good reason: at this point in their career, the Emerson's members understand as second nature the importance of clarifying the specific character of individual phrases and balancing them all into an elegant whole, and they can turn on a dime to create quicksilver variations of mood." The American Bach Choir—the choral forces of ABS—will sing a free concert to open the 2016/17 Season of Shinkoskey Noon Concerts in the brand new Ann E. Pitzer Center's Recital Hall, University of California at Davis. The Recital Hall opens its doors for the first time this month with a weekend of dedicatory events, and the UC Davis Department of Music's free Thursday noon concerts will be inaugurated in the new state-of-the-art hall on September 29th by the American Bach Choir. A free event, there are bound to be many wishing to attend, especially considering how exciting it will be to hear choral music performed in the new space. ABS Music Director Jeffrey Thomas has chosen a superb program drawing from composers of the 16th through the 20th centuries. On October 10, Soprano Melissa Wimbish makes her DCINY Artist Series solo debut recital at Carnegie Hall's Weill Recital Hall, in a performance featuring the American contemporary vocal music of Jake Heggie, André Previn, Jessica Meyer, Tom Cipullo, and Gregory Spears. The concert highlights new contemporary vocal works including the world premiere of Meyer's "Space In Chains." Melissa recently won first prize at the 43rd NATS Artist Award, a prestigious competition for singers with 240 competitors and 3 rounds of competition. The award provided her this upcoming Carnegie Hall solo debut recital sponsored by DCINY (Distinguished Concerts International New York), as well as a feature in the 2016 NATS Conference winner's recital in Chicago. Additionally, she received a full-tuition scholarship to AIMS in Graz, a studio recording package from Futura Productions and a $1000 gift certificate from Hal Leonard. Also, Regina Coeli; Laudate Dominum; Ave verum corpus; Eine Kleine Nachtmusik. 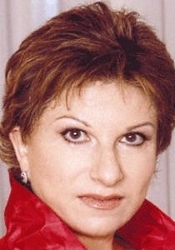 Mariella Devia, soprano; Daniele Callegari, Orchestra Filarmonica Marchigiana. JVC XRCD24-NT018. While the Italian operatic soprano Mariella Devia (b. 1948) has perhaps gained greater acclaim in Europe than she has in America during her extensive career, it has done nothing to stop her from being heard on dozens of recordings. This album, from 1997, appears to be among her best, at least sonically, which is why I suppose JVC chose to remaster it in 2015 in their XRCD audiophile series. It's hard to argue they didn't make a worthy choice. It's an all-Mozart program, with Daniele Callegari and the Orchestra Filarmonica Marchigiana accompanying Ms. Devia on the first three items and the orchestra itself taking over the purely orchestral reins of the final number. I was not familiar with the Italian orchestra, founded in 1985, nor the conductor, but they seem well up to the task, the somewhat smallish ensemble sounding fluid and transparent. The first selection is Mozart's Exultate, jubilate ("Exult, rejoice"), KV165, a religious motet Mozart wrote in 1773 for solo voice, orchestra, and organ. Divided into four parts with alternating slow-fast movements, it may remind the listener of the composer's symphonic works but on a smaller scale. Ms. Devia's voice is airy and confident, and her rendering of the Andante is particularly felicitous. Next is the four-movement Regina Coeli ("Queen of Heaven"), KV108, from 1771. It, too, is a piece of liturgical music, this one a little more ambitious than the preceding work, Mozart writing the Regina for soprano, choir, orchestra, and organ. Mozart based it on one of the Catholic Church's four seasonal "Marian antiphons of the Blessed Virgin Mary," typically sung at night prayer. 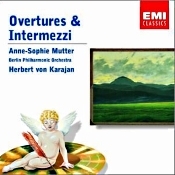 Here, the orchestra plays a more-prominent and dramatic part, too, with the mid-bass a weightier factor and the choir adding to the gravitas of the affair. Indeed, the soprano's solo contribution to the music doesn't even appear until the second movement, where Ms. Devia remains in lovely voice. After that are two brief works, Laudate Dominum ("Praise the Lord") for soprano, choir, orchestra, and organ; and Ave verum corpus ("Hail the true body") for choir, orchestra, and organ. Of these, I preferred the second item for its celestial grace and beauty. To close the show, we get what may be Mozart's most-familiar piece of music, the Serenade No. 13 for strings in G major, ("A Little Serenade" or, more commonly, "A Little Night Music"), K. 525, a composition the composer wrote for chamber ensemble in 1787. As there are probably 800 different recordings of it in the catalogue at any given time, the competition is intense. This version under Maestro Callegari is as good as most, although there is nothing much different about it to distinguish it from most of the others. In other words, it moves along at a stately, fluent pace, unhurried, unruffled, and unremarkable. What is remarkable is that JVC can produce so meticulous a remastering as this one while at the same time making it so hard to get the disc loose from the center spindle. I mean, you want the disc to fit tightly, but not so tight that you practically break the disc in two trying to get it out. The rest of the JVC packaging, though, is immaculate: A glossy, hardcover Digipak-type design; liner notes bound to the inside; the disc fastened (tightly) to the inside back. Originally recorded and produced by Giulio Cesare Ricci in December 1997 for the Fone label, the JVC (Victor Corporation of Japan) team of Tohru Kotetsu, Kazuo Kiuchi, and Shizuo Nomiyama remastered it in 2015 using XRCD/24 technology. Of course, the folks at JVC pick only what they feel are the finest recordings to remaster, so I'm sure this one started out sounding pretty nice to begin with. Their remastering has clarified what was undoubtedly already good, clean, solid sound. On my system, however, I thought the voice was a little too bright for my ears, as was the entire upper midrange, although it certainly illuminates the sonics considerably, which never actually become hard or edgy. The rest of the aural spectrum appears equally clear, with especially quick transient response and realistic spatial dimensionality (if favoring the left side of the stage a bit much). Overall, this is very lucid sound and should please many audiophiles, even if the price for it is rather high. Cal Performances announces today that the trio of cellist Yo-Yo Ma, bassist Edgar Meyer, and mandolin player Chris Thile will perform music by Johann Sebastian Bach set against a breathtaking dusk view of the Bay, at the second annual Gala at the Greek, Sunday, April 30, 2017, at 6pm in the Hearst Greek Theatre on the UC Berkeley campus, Berkeley, CA. 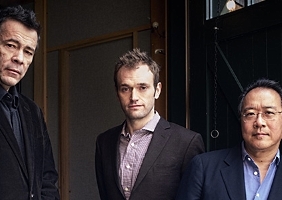 The trio of Ma, Meyer, and Thile--who alongside Stuart Duncan made their first appearance at Cal Performances in 2013 as part of the eclectic Grammy-winning Goat Rodeo Sessions, which blended bluegrass, jazz, and classical music--returns to the Greek Theatre as a new ensemble, re-imagining Bach's chamber works for its inventive instrumental configuration. The concert at the historic Greek Theatre is followed by a gala dinner to benefit Cal Performances' education and community programs. Ma, Meyer, and Thile have each spent a lifetime with Bach's solo works—in Thile's case, recording and performing the solo violin partitas on mandolin, and in Meyer's case, showcasing the double bass in the unaccompanied suites for cello. Meyer's recordings have set a new standard for double bass solo performance on this repertoire. And the New Yorker praised Thile's solo Bach recording: "His timing is meticulous--no one can play top-flight bluegrass whose timing is uncertain--but his version also has the liveliness that improvising musicians sometimes can bring to written material." Ma last performed Bach's cello suites, a major part of his repertoire throughout his long career, at the Hearst Greek Theatre during Cal Performances' 2015/16 season. Ma continues to be a close collaborator with Cal Performances, and was a creative force behind choreographer Mark Morris's Layla and Majnun, which receives its world premiere in Zellerbach Hall on September 30 – October 2, featuring the Mark Morris Dance Group and the Silk Road Ensemble. Concert tickets for Yo-Yo Ma, Edgar Meyer, and Chris Thile on Sunday, April 30, 2017 at 6pm in the Hearst Greek Theatre will go on sale to the general public at noon on November 15. Tickets range between $50–$250 (prices subject to change). Half-price tickets are available for UC Berkeley students. Tickets are available through the Ticket Office at Zellerbach Hall, at 510-642-9988, at calperformances.org, and at the door. For more information about discounts, go to calperformances.org/discounts. For one night only, on Sunday September 11, 2016 at 8 p.m., One Voice Orlando: A Celebration in Song will be performed in the Walt Disney Theater at the Dr. Phillips Center for the Performing Arts, 445 South Magnolia Avenue in downtown Orlando, FL. The benefit concert will feature some of opera's brightest national stars and musicians from throughout Florida. Internationally-renowned David Charles Abell will conduct and legendary baritone Sherrill Milnes will be one of the evening's hosts. Opera Orlando and its partners in this benefit concert have selected Central Florida organizations that work to build understanding of our region's diversity and address the interpersonal challenges that many people in their community face every day. These are the Orlando LGBTQ Community Center, Proyecto Somos Orlando, Holocaust Center's "UpStanders: Stand Up To Bullying Initiative," the Interfaith Council of Central Florida and the Zebra Coalition, which helps LGBTQ youth. But it was the Orlando Health's Level One Trauma Center that was the impetus for the benefit concert. Tickets are $25-$125 and are available now by calling 844-513-2014 or at www.operaorlando.org. Deutsche Grammophon is proud to announce that Murray Perahia, one of the great musicians of our time, has signed to the yellow label. The American pianist intends to record key works from his repertoire, thereby preserving insights gained over the course of a career that began in the mid-1960s and continues to flourish as he approaches his 70th birthday next April. Perahia's artistry has been fêted for its many qualities, not least its poetic eloquence, tonal nuance and spiritual depth. His move to Deutsche Grammophon follows an exclusive association with Sony Classical and its predecessor Columbia Masterworks that began in 1973. This significant new partnership, destined to deliver interpretations of the highest artistic calibre to the DG catalogue, will be launched this autumn with the release of Bach's French Suites. Perahia has always felt a great affinity with the music of Bach, having played some of his pieces since childhood and been powerfully influenced by a performance he attended at the age of fifteen of the St Matthew Passion conducted by Pablo Casals. He also found solace in studying the composer on a daily basis during a period in which illness prevented him from playing. He sees the French Suites as "Bach on the highest level," adding, "I don't think Bach wrote one note that didn't have wider meanings and that wasn't to be tackled with all one's heart and soul." His recording revels in the music's diverse moods, from melancholy tenderness to out-and-out joy, and brings out every nuance of its elegant phrasing and expressive dance rhythms. An artist of Murray Perahia's stature joining Deutsche Grammophon at an advanced stage in his career is not without precedent. During the 1980s, CBS Masterworks lost the two greatest pianists signed to the label at the time, when both Rudolph Serkin and, shortly afterwards, Vladimir Horowitz decided to entrust their mature years as recording artists to the yellow label, with now legendary results. The Orion Ensemble, winner of the prestigious Chamber Music America/ASCAP Award for Adventurous Programming, celebrates its 24th anniversary with a benefit performance and party Saturday, November 19 at 12 noon at Dunham Woods Riding Club in Wayne, Illinois. Proceeds will help support Orion's performances and outreach efforts to young musicians. The event features a special concert by Orion in the setting of the historic Dunham Woods Riding Club, which is listed in the National Register of Historic Places. After the performance, guests enjoy lunch and have an opportunity to help choose encore performances of works Orion has performed by buying votes for their preferred selections. The musicians mingle and chat with guests in this intimate setting. This event offers Orion fans an extra chance to enjoy the Ensemble's music while supporting its work. Orion's 2016-17 season, Miniatures and Masterworks, begins with "Collage of Colors" in September, with guest violist Stephen Boe joining Orion for works by Wintle, Zemlinsky and Mozart, and continues with "Serenade by Three: Orion Beginnings" in November, spotlighting Orion's original three members with works by Yadzinski, Granados, Khatchaturian, John Williams and Glick; "Connections" in March, welcoming back Stephen Boe for a program of Kritz, Mahler and Rebecca Clarke; and "Wit and Passion" in May, also featuring Boe for works by Jean Francaix and Brahms. Each concert program takes place at three locations: Geneva, Evanston and downtown Chicago, Il. The Orion Ensemble's benefit takes place Saturday, November 19 at 12 noon at Dunham Woods Riding Club, 33w333 Army Trail, Dunham, Illinois. The requested donation is $75. For more information, call 630-628-9591 or visit orionensemble.org. Cal Performances at UC Berkeley welcomes back the Takács Quartet for a momentous series of six concerts, the complete string quartet cycle of Ludwig van Beethoven, performed over three weekends in Hertz Hall, Berkeley, CA, on October 15–16; March 4–5, 2017; and April 8–9, 2017. The performances coincide with the publication of Taka´cs' first violinist Edward Dusinberre's new book, Beethoven for a Later Age: Living with the String Quartets (University of Chicago Press), which explores both the history of the quartets and the Takacs work, interpreting them as an ensemble. 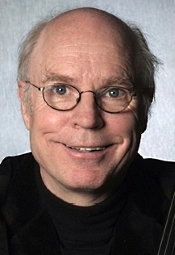 Dusinberre's book is the inspiration behind Cal Performances' extensive residency, which will feature quartet members, scholars, and students, and is a significant part of the 2016/17 season's Berkeley RADICAL Immersion thematic strand of programming offering deep exploration of important composers and genres of artistic expression. Performances are Saturdays, October 15, March 4, and April 8 at 8pm; and Sundays, October 16, March 5, and April 9 at 3pm, with free pre-performance talks preceding each concert. Tickets for the Taka´cs Quartet on Saturdays, October 15, March 4, and April 8 at 8pm; and Sundays, October 16, March 5, and April 9 at 3pm in Hertz Hall start at $92 (price subject to change). Half- price tickets are available for UC Berkeley students. Tickets are available through the Ticket Office at Zellerbach Hall, at (510) 642-9988, at calperformances.org, and at the door. For more information about discounts, go to calperformances.org/discounts. 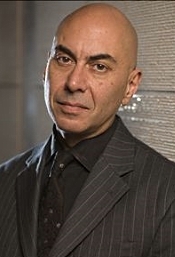 Andrew Mogrelia, Queensland Symphony Orchestra. Marco Polo 8.223772-73 (2-disc set). 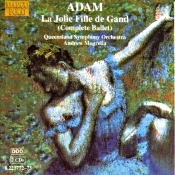 People no doubt know French composer and music critic Adolphe Adam (1803-1856) far better for his classic ballet Giselle (1841) than for the work of this two-disc set, La jolie fille de Gand, written about the same time. So, why is this? Is La jolie that much inferior to Giselle that one of the pieces should continue as a staple of the classical repertoire while the other should fade into obscurity? The answer is simply, yes. Sometimes, the public is right. The listener comes away from Giselle humming memorable tunes. Just trying to remember anything at all from La jolie is a task, even though it is pleasant-enough music as you're listening to it. This is not to suggest that there is anything unduly wrong with La jolie, however. On the contrary, Adam filled it with charming, agreeable music, almost all of it lighter than air fluff and wholly forgettable. Anyone who enjoys ballet or light classical music, though, will surely enjoy the piece. Still and all, a two-disc set of the complete ballet may endanger one's sugar intake considerably, or it might at least try one's patience. Perhaps it is a ballet better seen than listened to straight through or better taken in small doses, like from a single highlights disc. The ballet-pantomime La jolie fille de Gand ("The Pretty Girl of Ghent") contains three acts and nine tableaux. With choreography by Ferdinand-Albert Decombe and a libretto by Jules-Henri Vernoy de Saint-Georges and Decombe, the work premiered on June 22, 1842 at the Theatre de l'Academie Royale de Musique, Paris. The story line should give you an idea of how deep the music's going to be. The plot, set in Ghent, Belgium, concerns a dancer named Beatrix, who is betrothed to Benedict, the nephew of a rich goldsmith. She is distracted, however, by the attentions of the Marquis of San Lucar. There follow scenes of conflict with both men, a series of dreams, and an attempted elopement. But, naturally, it all has a happy ending, and the proper girl and boy get to marry. I'm sorry. I tried to follow the plot line but I got bored. I figured I'd enjoy it more by just listening to the music and ignoring the story altogether. I suppose it would be even more appropriate to see it on stage some time, but that would seem almost impossible. Anyway, Maestro Andrew Mogrelia (who specializes in ballet scores) and the Queensland Symphony Orchestra (of which Mogrelia is now the Music Director and Principal Conductor) do a good job performing all this, and I suspect trying hard not to make it appear as lightweight as it seems. And thanks to the fine Marco Polo recording, the orchestra sounds splendid. The sonics on this 2000 release are quite good, as I say. I liked the stability of the sound stage and the rock-solid imaging left, right, and center. Front-to-back depth sounds more limited, though, as does the deepest bass and the highest treble. Fortunately, the audio has plenty of mid-bass warmth and room resonance to satisfy fans of concert-hall acoustic ambiance in their recordings. Definition, too, is more than adequate, if not so transparent as some all-out demonstration-class discs, and dynamics are moderately robust. This is a welcome set for a rainy afternoon with one's feet up on the coffee table. I just wouldn't expect more in the way of musical substance than the score can deliver. Also, Prokofiev: Concerto No. 3; Ravel: Concerto for Left Hand. Julius Katchen, piano; Istvan Kertesz, London Symphony Orchestra. HDTT, remastered. Julius Katchen (1926-1969) was an American concert pianist who died of cancer just a few months after recording the present album in 1968. One would never guess from the recording how ill he was; most of the music reveals the vigor and vitality of a man in more than good health. Yet, things happen. The celebrated Jewish-Hungarian conductor in the work, Istvan Kertesz (1929-1973), would himself succumb to a drowning accident a few years later. So, in a way, this is a sort of memorial to both artists and a fitting tribute to both their talents. First up on the program is Rhapsody in Blue, which as you no doubt know bandleader Paul Whiteman persuaded American composer and pianist George Gershwin (1898-1937) to write back in 1924, suggesting he make a jazz-inflected showpiece for Whiteman and his orchestra. 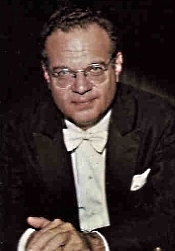 When Gershwin initially declined, saying he didn't know enough about orchestration to do the work justice, Whiteman assured him that he could get Ferde Grofe to arrange it for piano and orchestra. As everyone knows, Gershwin's fusion of classical and jazz became a musical phenomenon. Katchen's version of the piece with the London Symphony may not be quite the lean, mean classical jazz Gershwin intended, though. 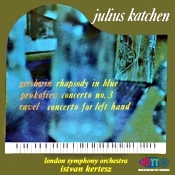 Under Katchen and Kertesz, it's more a slightly jazzy classical piece. I wouldn't go so far as to say it's too sedate, too refined, too symphonic, and too somber, but it's close. I think it's just that Katchen was foremost a classical pianist and his naturally elegant style wasn't quite what Gershwin needed. Still, it's a pleasure listening to him play. Next, we find the Piano Concerto for the Left Hand in D major (1930) by French impressionist composer Maurice Ravel (1875-1937), which Ravel wrote for a pianist who had lost his right arm during the First World War. This one is more up to the style of Katchen and Kertesz. We have it here in one continuous movement, although Ravel once said it was really two connected movements. Whatever, Katchen and Kertesz navigate the somewhat less but still jazz-toned score with more comfort, more-inherent ease, than they managed in the Gershwin. Both men lend a good deal of weight and gravitas to the music without missing any of its rhythmic tonal colors or lush, lyrical qualities. Finally, we get the Concerto No. 3 in C major (1921) by Russian composer Sergei Prokofiev (1891-1953). While its arrangement is in a traditional three movements, the second movement is a set of variations ranging from fairly slow to very fast, and the final movement is a brilliant display of virtuosity. Here, too, Katchen and Kertesz shine, with a particularly playful opening Allegro and a dazzling close. Producer Ray Minshull and engineers Kenneth Wilkinson and Alec Rosner recorded the music for Decca at Kingsway Hall, London, in November 1968. HDTT remastered the album in 2016. The sonics are nicely warm and rounded, with a decent sense of depth and dimensionally. The engineers captured the ambience of Kingsway Hall quite realistically, too, although in terms of balance the piano seems a bit bigger, more forward, than it might appear in an actual concert. Upper mids are sometimes a tad rough as well, although it's not enough to warrant concern. It's a comfortable, enjoyable sound, sure to please most listeners. Lagrime di San Pietro (Tears of St. Peter). Twenty-one Los Angeles Master Chorale singers conducted by Artistic Director Grant Gershon, transform this 60-minute sweeping a cappella Renaissance masterpiece - committed to memory and dramatically staged - into an overwhelmingly passionate performance piece. Lagrime di San Pietro depicts the seven stages of grief that Peter experienced after disavowing his knowledge of Jesus Christ on the day of his arrest and prior to his crucifixion. Single tickets go on sale Tue., Sep. 6, 2016 at 10 am. Tickets begin at $29 and can be purchased in person at the Dorothy Chandler Pavilion Box Office (Mon.-Sat., 10-6) or the Walt Disney Concert Hall Box Office (day of performance), by phone at 213-972-7282, or online at lamc.org. For disability access, call 213-972-0777. Great Kat's New Liszt's Hungarian Rhapsody #2 Music Video - CD. Hot Classical/Metal Female Shredder, The Great Kat Shreds BOTH Violin AND Guitar with her All-Male Stud Band, "Vlad the Impaler" & "Franz Liszt" on Liszt's famous Classical masterpiece "Hungarian Rhapsody #2"! Reference Recordings is delighted to announce signing the Hermitage Piano Trio to an exclusive recording contract for multiple albums. The members of the Trio are Misha Keylin, violin; Sergey Antonov, cello; and Ilya Kazantsev, piano. The Trio's debut album will comprise the piano trios of Sergey Rachmaninov: Trio élégiaque No. 1 in G Minor; Trio élégiaque No. 2 in D minor, Opus 9; and Vocalise (world premiere recording of piano trio transcription by Julius Conus), to be recorded in 2017. States Reference Recordings' Executive Director Marcia Martin: "We are excited and honored to record the Hermitage Piano Trio, and we anticipate a long and rewarding collaboration." The album(s) will be recorded by RR's GRAMMY-winning engineer and Technical Director Keith O. Johnson and produced by the outstanding multi-GRAMMY-nominated team, Marina and Victor Ledin. Descending from the great Russian musical tradition, the Hermitage Piano Trio is distinguished by its exuberant musicality, interpretative range, and sumptuous sound—attributes that Reference Recordings expects to be highly appealing to music lovers and audiophiles worldwide. Following a recent performance, The Washington Post raved that "three of Russia's most spectacular young soloists… turned in a performance of such power and sweeping passion that it left you nearly out of breath." We'd like to thank everyone who voted for us and look forward to seeing our many patrons - whether you've been with us for 36 years or just bought your first ticket - at the upcoming 2016/17 season. PBO is passionate, brilliant, and original. And so are our audiences. On behalf of music director Nicholas McGegan, thank you for allowing us to take you on truly unusual and exciting musical journeys. We hope you'll come back for more. The Music Institute of Chicago opens the 2016–17 season of its Faculty and Guest Artist Series with "The Elements," a program of works about or inspired by earth, water, air, fire, and spirit, Saturday, September 24 at 7:30 p.m. at Nichols Concert Hall, 1490 Chicago Ave., Evanston, Illinois. More than 20 members of the Music Institute's celebrated faculty, now numbering more than 150, perform a diverse program, including Music Institute Composer-in-Residence Mischa Zupko's Waves from "Shades of Grey" (water). "The Elements" takes place Saturday, September 24 at 7:30 p.m. at Nichols Concert Hall, 1490 Chicago Avenue in Evanston. Tickets are $30 for adults, $20 for seniors and $10 for students, available at http://mic-the-elements.brownpapertickets.com/ or 847.905.1500 ext. 108. All programming is subject to change. For more information, visit musicinst.org. On September 23rd, cellist Matt Haimovitz will give an intimate candlelight performance in the underground crypt beneath The Church of the Intercession in Harlem, NY, part of Unison Media's acclaimed Crypt Sessions concert series (as featured in The New York Times, The Wall Street Journal, The New Yorker, NPR, WQXR, The Christian Science Monitor, Agence France-Presse, and more). The concert will feature selections from Bach's cello suites, as well as newly commissioned works by Philip Glass, Du Yun, Vijay Iyer, Roberto Sierra, and Luna Pearl Woolf all of which act as overtures to Bach's cello oeuvre. There will be a wine and cheese reception at 7PM before the concert at 8PM. Fort Worth Opera (FWOpera) announced today the successful finale to their 90-day, million dollar gift match challenge, Million Dollar Summer. FWOpera's patrons united to support the local arts community throughout the campaign. The conclusion of this challenge coincides with the end of the company's fiscal year, August 31, and solidifies FWOpera's future to pioneer new operatic works that reflect the city's unique cultural mosaic. FWOpera's success occurs in a climate where corporate support for the arts has proven challenging. FWOpera attributes the success of Million Dollar Summer to the city's residents, who stood united under their shared passion for the performing arts, including 100 percent participation for board and staff of this milestone campaign. Now that Million Dollar Summer has come to a close, the company boasts a 100 percent increase to its donor base. This increase in donor base and the participation in the campaign was made possible in large part by first time giving household, but the success didn't stop there. While FWOpera surpassed it's immediate goal with their forward thinking initiative, they have cultivated a new generation of audiences and patrons. Making its home in New York for the first time since its inception, ASPECT Foundation for Music & Arts presents a concert series which aims to establish and develop a recital format beyond the traditional classical performance. 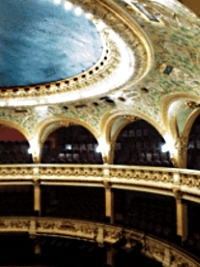 "Music In Context," which expands the notion of classical music as it is experienced in the standard concert setting, incorporates a variety of art forms as well as lecture and discussion to give audience members a more multifaceted, integrated understanding of the social context and historical relevance behind a piece of music. After its successful London run presenting various series such as "Composers on Composers," "Musical Capitals," "One Off," and "Great Muses," ASPECT Foundation finds a new locale at Columbia University's intimate The Italian Academy for the 2016/17 season. Guest speakers include Yale Assistant Professor (Adjunct) of Music History Paul Berry and British classical music radio broadcaster, composer, and author Stephen Johnson will lead the series' Illustrated Talks with others to be announced later in the season. Lawrence Brownlee Announces "Larry's September Weight Loss Challenge & Autism Fundraiser"
"As many of you know, my six-year-old son Caleb was diagnosed with Autism as a child, and while he is doing fantastically, I still believe it's important to raise awareness and research funds for Autism. My amazing father-in-law Kenny Wilson is going to do a Half-Ironman (1.2-mile swim, a 56-mile bike ride, and a 13.1-mile run) in order to raise money for Autism Speaks, and I'd like to help! I'm asking you to pledge to donate to Kenny for every pound I lose in September - if you pledge $5 per pound and I lose 5 pounds, then that's $25 to Autism research! You can join by filling out the form here: http://bit.ly/2c9aB72, and then following my progress on my Facebook Page (http://bit.ly/2crmABt)." The Los Angeles Master Chorale announced today that The James Irvine Foundation has awarded a $450,000 Exploring Engagement Fund grant to support the Chorale's launch of Big Sing California that will culminate in June 2018. This two-year grant will support the Chorale's ongoing efforts to utilize state-of-the-art live-streaming technology to enable thousands of Californians to connect with others throughout the state for a shared singing experience, led by its Swan Family Artist-in-Residence and Grammy award-winning composer/conductor Eric Whitacre. "We are honored and delighted and extremely thankful to The James Irvine Foundation," said Grant Gershon, Los Angeles Master Chorale's Artistic Director. "Our goal for the Big Sing California is simply to inspire people to tap into a gift each person is born with, namely, the ability to sing. As one of the nation's most prominent choruses, the Master Chorale is taking a leadership role in creating the fertile environment in which the love of singing and the choral arts can grow and thrive." Wallis Annenberg Center for the Performing Arts announces the full schedule and new artist additions to the lineup for WelcomeFest, a two-day celebration of the performing arts taking place Saturday, September 10 from 2pm – 10pm and Sunday, September 11 from 10am – 2pm. WelcomeFest will showcase many of the upcoming 2016/17 season's artists and other Los Angeles-based performers who will bring their work to the Beverly Hills campus. Performances and activities are free to the public. For a complete listing of events and up-to-the-minute information, please visit TheWallis.org/WelcomeFest or join the WelcomeFest Facebook event. Joining the WelcomeFest lineup is Syncopated Ladies, the female tap dance band who gained international recognition with their viral video featuring a performance to Beyonce's Formation; Venice, CA-born musician Tutu Sweeney, whose sound fuses soul, funk, disco and rock; a performance poetry project by Jacqueline Suskin that consists of composing one-of-a-kind poems on a manual typewriter; portrait and calligraphy sessions with artist Emily J. Snyder; an intimate tableaux and video projection installation exploring historic Los Angeles by experiential filmmaker Gina Marie Napolitan; a special screening of a Harold Lloyd film (to be announced) accompanied by pianist Michael D. Mortilla; and an ASL Storytelling Hour in American Sign Language led by Broadway's Sandra Mae Frank and Amelia Hensley (Spring Awakening) and actress Ipek Mehlum. Fred Hellerman, a singer and composer who was the last surviving member of the iconic and influential folk music quartet the Weavers, has died. The musician passed away on Thursday "after a long run of failing health" and was at "home and surrounded by family" when he died, his son Caleb Hellerman said on his Facebook page. 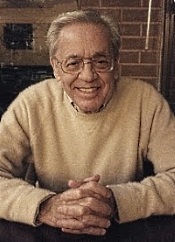 Fred Hellerman was 89 and lived in Weston, Connecticut. Hellerman, Pete Seeger, Ronnie Gilbert, and Lee Hays formed the Weavers in the late 1940s and recorded many folk standards, such as "If I Had a Hammer," "On Top of Old Smoky," "Goodnight, Irene," "The Lion Sleeps Tonight" (also known as "Wimoweh") and "Tzena, Tzena, Tzena,"
Hellerman played guitar and sang for the group, which set the stage for a folk music wave in the 1950s and 1960s. Despite the Weavers' popularity, the group had been targeted by anti-Communists and was blacklisted during the McCarthy era. "They were forced to take a hiatus from their recording career due to the blacklist, until their return for their iconic Christmas Eve 1955 concert at Carnegie Hall, according to CNN affiliate WCBS. After Seeger left the Weavers in 1958, Gilbert, Hays and Hellerman went on with other singers until the group disbanded in 1964. After that, members reunited to perform. The Grammys gave the group a Lifetime Achievement Award in 2006, and an article on its Web site called the group "seminal" and said the members "fought back against political intolerance." "If this award to us has any message, it's that if you stay the course you can outlast your enemies with your honor and dignity intact," Hellerman said at the time. Born in Brooklyn on May 13, 1927, Hellerman "first displayed his love for music by collaborating on stage plays in the Yiddish theater," WCBS said, citing Hellerman's son. 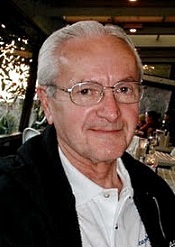 He attended Brooklyn College and served in the U.S. Coast Guard during World War II, according to the Internet Movie Database. His AllMusic.com bio said he taught himself to play guitar during his Coast Guard stint. 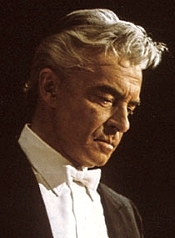 Hellerman was an arranger and songwriter for other performers. He produced Arlo Guthrie's 1967 record "Alice's Restaurant." There won't be a funeral but a memorial service -- with music -- will be held in the next few months, Hellerman's son said. 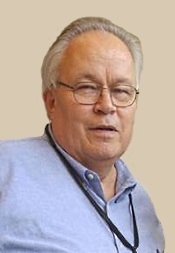 Gilbert died on June 6, 2015; Seeger on January 27, 2014; and Hays on August 26, 1981.